5 (5) Toggle including or excluding 5 nights packages, 5 deals match this criteria. 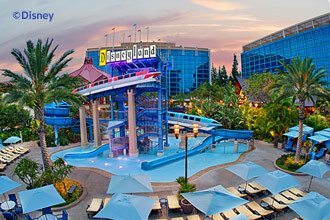 Get these great Disneyland® and Walt Disney World® Resort vacation deals with Southwest Vacations®. 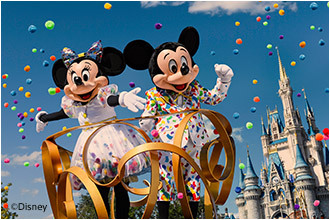 Book any of our amazing Disney vacations featuring flight and hotel, and add additional options including theme park tickets, a car rental, dining meal plans, and more. Enjoy thrilling theme parks, spas, golf, dining, and more in this entertaining destination. Book your Disney Parks vacation package today, and remember that bags fly free®† with Southwest Vacations. Weekly vacation deals to top destinations. Get up to 25% off select rooms + save on Disney Tickets. Limited time! Get a special ticket offer + save on rooms.